Interviewing is a fundamental methodology for both quantitative and qualitative social research and evaluation. Interviews are conversations between an investigator (interviewer) and a respondent (‘interviewees’, ‘informants’ or ‘sources’) in which questions are asked in order to obtain information. Interviews seek to collect data and narrative information in order to better understand the respondent’s unique perspectives, opinions, and world-views. There are many different types of interview approaches and techniques, Generally speaking, all interviews fall into one of three categories: structured, semi-structured, and depth/unstructured interviews. Structured interviews are most typically used in quantitative investigations, including survey research. In structured interviews, the interviewer presents the interviewee with a standardized set of questions, often in questionnaire form. These questions usually have pre-set answers from which the interviewee selects, rather than ‘open-ended’ questions. Each individual interview features the same set of questions, asked in a fixed order. All questions included in the research design are asked in each interview session. Structured interview questions are the most common type used in surveying interviewing. Semi-structured interviews center around a mixed framework of general themes and pre-established questions, which can be adapted in the context of individual sessions. The interviewers is thus free to leave certain questions out, mix the order of questions, or ask certain standard questions in different ways depending on context. Semi-structured interviews also rely on a combination of both open and closed questions. Unstructured interviews – also known as ‘informal’ or ‘conversational’ interviews – are wholly qualitative, and include only topic areas and themes rather than standard questions. Unstructured interviews take the form of natural conversation between two or more people, and allow the interviewer to pursue follow-up questions or new lines of discussion as they see fit. Closed questions are avoided, and the interviewee is often asked to identify the information they feel is most important for the discussion. In practice, these three approaches are routinely combined. Qualitative exploratory interviewing, for instance, can prove a good compliment to more structured interviewing using closed questions later in an evaluation. First, investigators design and plan the study, determining both generalized approach (structured, semi-structured, unstructured), specific technique, the research questions to be asked, and any practical, conceptual and ethical external factors to consider. Interviewers also undertake any specialized training/preparations required. Third, the results of the interviews are analyses and interpreted using the investigator’s chosen option of analysis. During this stage, verification of the data and findings collected from the interviews is also required. Opening up the interview: Begin with informal introductions and small talk, then properly introduce the investigation, interview format and structure to the participants, allowing the opportunity for them to withdraw their consent prior to its start. Administer questions: Ask the questions of the interviewee, while recording their answers by hand, audio recorder, or video tape. Pay close attention to both the answers being recorded and, especially for semi- and unstructured interviews, the emerging themes, perspectives, opinions, and underlying logic which is being elicited in the respondent’s answers – all of these should be noted and if appropriate, probed further. Inconsistencies and diversionary answers should also be watched out for. Respondents should always be given the space during discussions to form their own answers. The investigator should also keep an eye on the time throughout. Closing down the interview: After all questions have been asked, the investigator should ask the respondent their feelings on the interview, and whether they have anything further to add. It is particularly useful to summarise the key points of the discussion with the respondent while they are still there. End by thanking the respondent for their time. If possible, review notes immediately after and expand on any annotations made during the interview while it is still ‘fresh’ in your mind. Keep in mind that specific interview techniques will require important variations of this approach – a telephone interview is conducted very differently than a one-to-one interview, as is a focus group. See relevant options entries for more on each. Ethics: Finally, it is the investigator’s duty to ensure that they adhere to proper ethical interviewing standards. First, interviews should only be conducted with informed consent – permission should be sought in a transparent way from interviewees, and granted, prior to the interview. This step should be conducted alongside risk assessments to identify potential risks to interviews and address them in the content process. Second, rights to confidentiality and anonymity must be offered where appropriate – keep in mind that many governments have strict laws about both confidentiality and circumstances where important/dangerous information cannot be kept confidential (for example, in instances of severe domestic or child abuse, etc.) Third, fair return for assistance should be considered, whether in terms of financial or material compensation. (compensation is itself a tricky ethical issue, and policies may differ by organization and context, but should be addressed and discussed prior to the start of the interview process.) Finally, be aware that interviewing vulnerable groups – including children, disabled people, elderly people, victims of violence, etc – bring with it a range of unique ethical considerations. An example of ethical guidelines for social research prepared by professional research associations to govern their professions may serve as a useful starting point. See, for example, The Economic and Social Research Council (ESRC) Framework for Social Ethics. This following example of a semi-structured interview guide was prepared for the World Health Organization's (WHO) training package on substance use, sexual and reproductive health as part of the M&E component of a street children project. Depth and context of data – interviews elicit insights and perspective’s into people’s though-processes and rationales behind a particular issue, and are able to articulate their ‘story’ in their own words. Access – Interviews, particularly one-to-one interviews, can permit the investigator to access individuals unwilling or unable to participate in focus groups or surveys. Interviews are time-consuming – in terms of identifying subjects, negotiating access, logistics, direct interviewing time, and lengthy transcriptions. Less-structured interview data is difficult to analyze. ‘Interviewer effect’ – in which the interviewer’s presence and behavior bias the interviewee’s response – is a consistent challenge to avoid, as are unintended transgressions of individual’s comfort-zones and levels of privacy. People’s narrative explanations do not always conform to the reality of a situation, which requires consideration of reliability and triangulation. Keep in mind that a translator may be required to assist in both the interview and transcription if the investigator does not speak the same language as the interviewee – keep in mind that this requires additional coordination between the translator and interviewer to ensure all questions are delivered as intended. Interviewers should also be involved in the post-interview review and analysis. While most interviews outside group settings include only one interviewer, it can often be useful to consider including a second interviewer. Ideally, this second interviewer can also serve as the translator if needed, and can focus on note-taking while the first interviewer focuses on questions. Can also provide feedback and perspective after the interview is complete, and interviews can often benefit from two people with different perspectives asking different types of questions. Interviewing is a unique and somewhat intuitive skill which requires practice. The following are a few, but by no means all, guidance on how to ask good questions. Good questions should be clear, specific, unambiguous, and directly related to the overarching research question. They should ideally concern one issue or topic at a time, and be worded in clear, jargon and technical-free language. They should ask only subjects respondents can be reasonably expected to possess information on. Questions should be neutral in tone. Investigators must always remain aware of the danger of ‘leading questions’. Leading questions are those which encourage the respondent to answer in a particular way, thus biasing your resulting answer and potentially discrediting your research. (wouldn’t you agree that this project should berecognisedas a success?) To avoid asking leading questions – which can often be difficult to spot yourself – ask a colleague to review your questions for you. Similarly, investigators should avoid questions which presume information (i.e. asking ‘what age did you graduate primary school’ presumes the respondent attended primary school), questions which contain subtle or explicit value judgments (i.e. asking ‘at what age were you forced to marry?’ to someone who was not forced to marry), and of course, any questions which may be considered rude, offensive, or insensitive (determining which will always depend on context, culture, and the individual). If at all possible, pilot-test your questions on a small group from your final sample to identify potential issues, and expect to redraft them multiple times before finalizing the list. Time-management and scheduling is critical. Arrive at every interview with an understanding of the timing involved in the entire interview and each individual question. Keep a discrete eye on the time to ensure you have enough time remaining. If possible, leave extra time to begin and end (in case of late arrivals and protracted ending small-talk). If possible, remind respondents a day or two before the scheduled interview. Pay close attention to your own body-language: maintain appropriate levels of eye contact. Also notice non-verbal signs in your respondents, and note them. Bring all relevant materials with you – typically, a notebook, writing tools, and any recording equipment (audio or video) needed. Ensure that your recording option (note-taking, taping) is workable in the context in which you will be doing the interview. Especially for long interviews get some water and maybe even food/ candies for you and your subject. Wait to establish rapport, when the interviewee appears most comfortable, before asking sensitive questions. Remain aware for potentially evasive, confused, or intentionally misleading/distracting response, and probe (gently) for clarification if necessary. It is important to allow interviewees the space to express themselves the way they feel most comfortable, in order to elicit the deepest and most honest responses. Be very careful to give these interviewees enough time to respond, and learn to be comfortable with pauses and silence. Always thank the respondent at the end of the interview. Immediately following the interview, take time to retire to a quiet place and expand or complete any notes you made during the session – your conversation will never be fresher in your mind. Continue to practice and refine your interviewing techniques. Using Structured Interviewing Techniques: This paper from the United States General Accounting Office (GAO) explains structured interview techniques for GAO evaluators and how they can should be incorporates when appropriate. 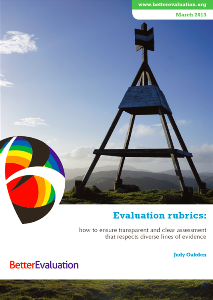 Conducting In-Depth Interviews: A Guide for Designing and Conducting In-Depth Interviews for Evaluation Input: This concise guide defines In-Depth Interviews, explains their advantages and disadvantages and the steps involved in their application. Kvale, S. (1996) Interviews An Introduction to Qualitative Research Interviewing London: Sage Publications. Denscombe, M. (1998) The Good Research Guide for Small-Scale Social Research Projects, Buckingham and Philadelphia: The Open University Press. 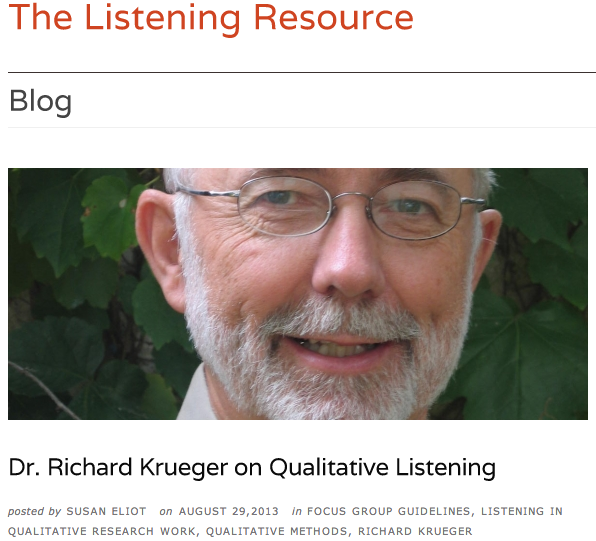 The Use of Qualitative Interviews in Evaluation: This webpage outlines the circumstances in which qualitative interview techniques are best applied for the purpose of evaluation.